Do you use any software to teach #statistics? This was a question popped by one of my friend at Research Gate. The question then harvests so many responses. So I thought it would be useful if I make a summary out of that. There are arguments that we should teach statistics, not only using manual calculation but also by using software such as SPSS, Minitab, Stata etc. 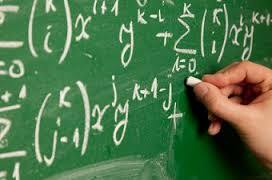 Most of teachers or lecturers preferred to use manual calculation. What is your expert opinion on this? As a start, several participants would use statistic software as part of the “must-have” computer skills for their students and graduates. They are also aware of the needs of statistician with sufficient computer skills in today’s job market and industries. A few others would argue that teaching statistics has never been only about the software. It is the understanding through manual (by hand) analytical skill that counts. Although they are also aware of the job market’s needs. Several answers mentioned the list of major statistics software, like SPSS, SAS, and Minitab. Some also mentioned Statistica, JMP, as their practical software for students. The participants choose them because they are user friendly on the basis of menu-driven and point-click. Some participants are looking for statistic software that can be developed or provide a robust development environment. Therefore they choose “command line” applications such as: Stata, MathLab, and R. To the command-line fans, a list of reproducible commands reflects the statistics algorithm that have to be understood by their students. They thought that the command line is their way to mimic manual (by hand) technique but in robust way. They reluctantly move their way to the point and click software as it is not reproducible. However these “command-liner” also admit that at some level, menu-driven apps are easier to learn as they don’t have a steep learning-curve. While experts from the “point and click” side defend that their stat apps are also support reproducibility. They just need to make more graphical tutorials, that they admit can’t be as easy as command-line tutorial. However, both sides agree that students are frequently use sophisticated software without sufficient prior learning of the basics. They tend to choose them based on the “cosmetic” features. Proprietary software are very expensive for universities as mentioned by experts from developing countries, as well as from the wealthy countries.